Want to be notified of new releases in hyperblast/beefweb? 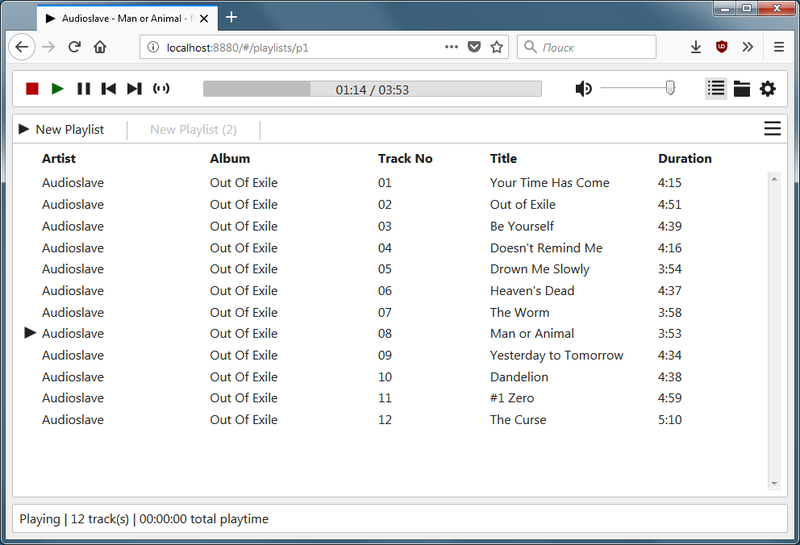 Web interface plugin for DeaDBeeF and foobar2000 music players. Check out releases section. If you want to try development builds instead you could download them here. Choose latest available date and pick the file specific to your CPU architecture. Open foo_beefweb-*.fb2k-component with foobar2000, you will be asked to install the plugin. Point your browser to http://localhost:8880 and enjoy your web interface. 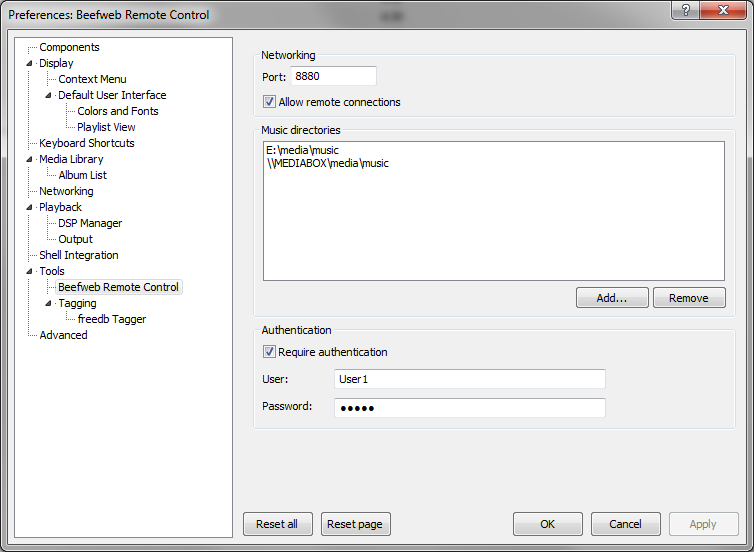 If you've enabled remote connections on plugin configuration screen you'll be able to connect from remote machines as well. To allow browsing and adding files via web interface specify music directories in plugin configuration screen. 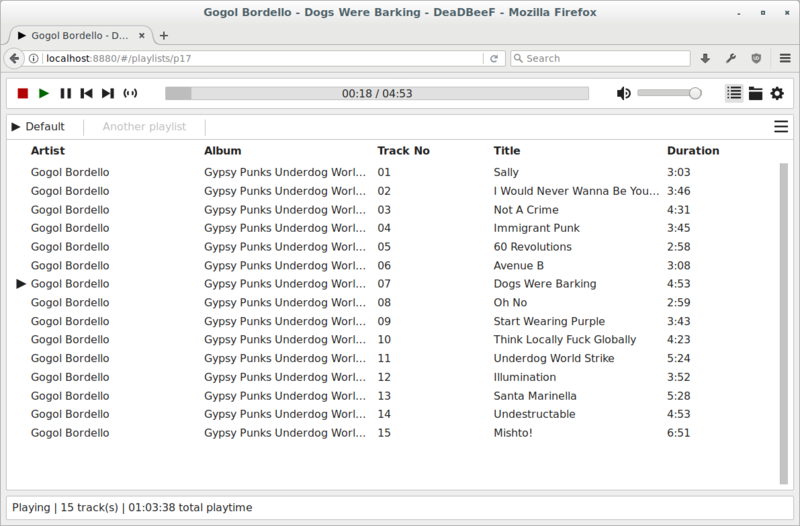 For DeaDBeeF multiple music directories should be separated with ;. 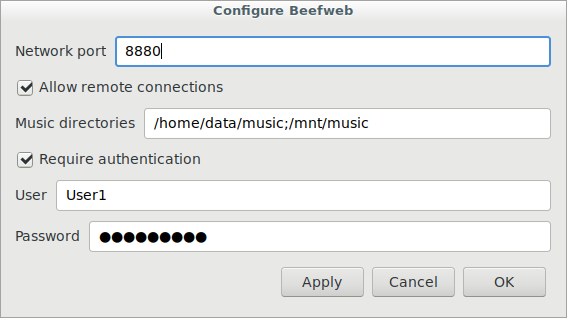 Beefweb has two distinctive parts: server plugin and web user interface. To build server you'll need a descent C++ compiler such as gcc or clang and a recent version of cmake. To build web UI you'll need node runtime and yarn package manager. Get ddb_beefweb-*.tar.gz from build/release directory. You could also build debug version by switching --release to --debug. You'll need to install Visual Studio (currently tested with VS2015 Community). The following programs should be installed in addition: node runtime, yarn package manager, cmake build system, 7z archiver and curl HTTP client. These programs should be available in PATH. Get foo_beefweb-*.fb2k-component from build\release directory. Swagger API definition is available.